It been another long time since I made an entry in this blog, work has been demanding recently. That does not mean that nothing is happening. 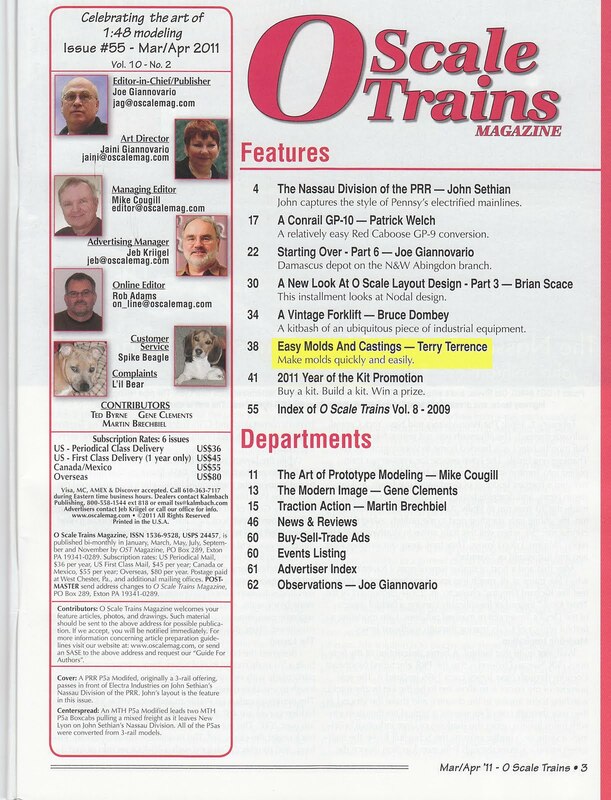 The March/April issue of "O Scale Trains" has an article that I authored. "Easy Molds and Castings" outlines how to make a reusable open face mold out of readily available materials. You will not have to mail-order specialty materials nor spend a large amount of money to get into mold making and casting. 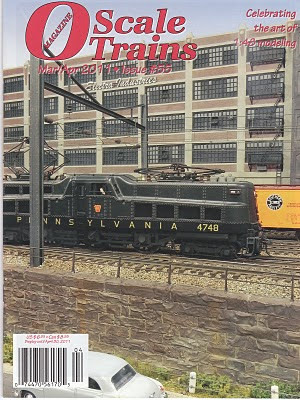 While I'm at it, a shout out goes to John Sethian for the cover story article on his railroad. 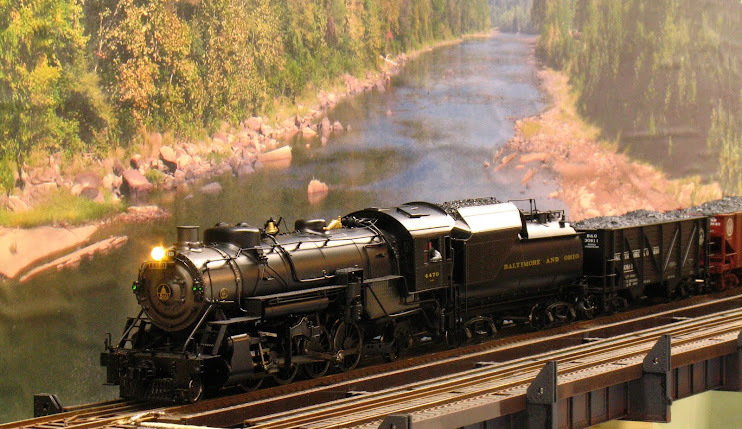 John is a member of our local Baltimore/Washington O Scale Group. Also a shout out to Jim Lincoln for his review of a modern building kit. 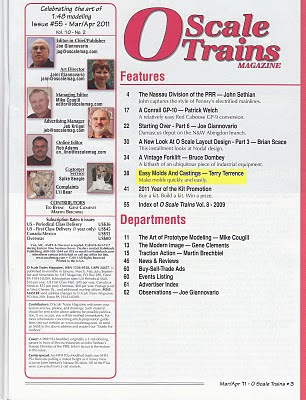 Jim is a co-host on Model Rail Radio. 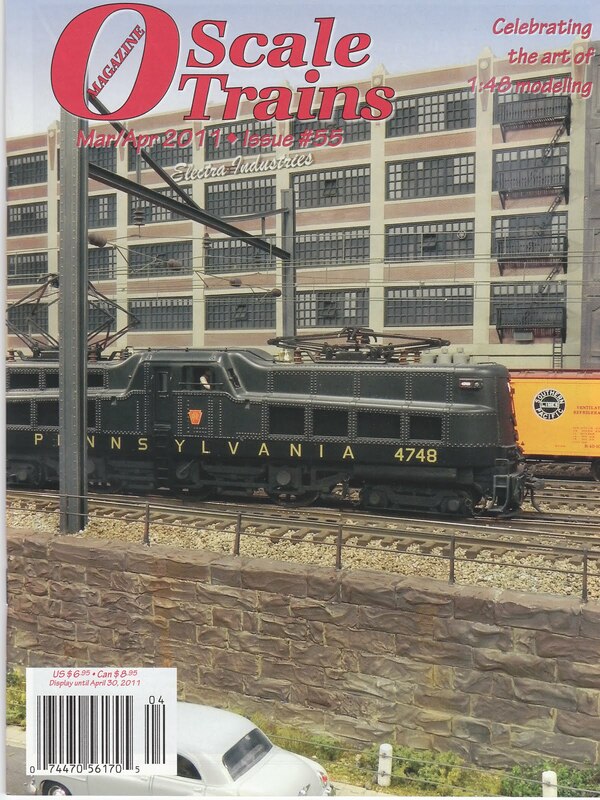 O Scale Trains is the best magazine for the O Scaler - try a copy at your model railroad hobby shop.